While the regulation on the exchange of cryptocurrency from country to country is still holding grounds from quite a few locations and states, in 2018, the US Securities and Exchange and Commission maintained that before any digital currency agency company can operate, it must first be registered under SEC. Cryptocurrency exchange has largely been accepted from different countries. This has enabled the trading of cryptocurrencies between cryptocurrencies or even fiat money. Crypto exchange has quite been uttered by quite a variable factor limiting or promoting exchange modalities. 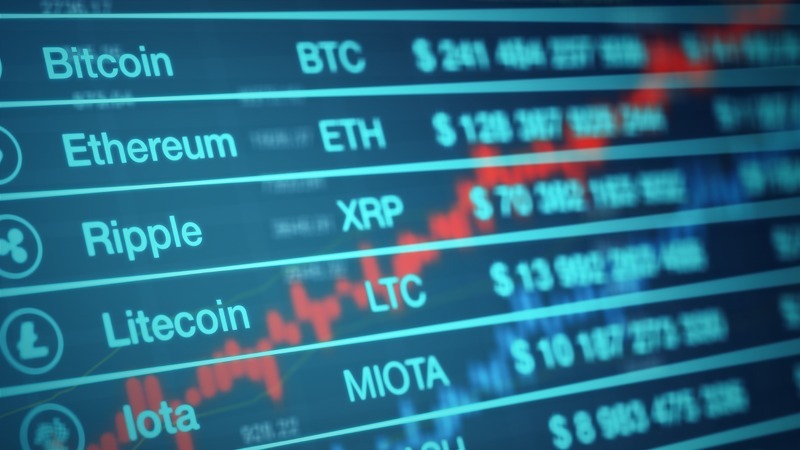 From the security of the websites, the exchange volume, exchange fees, and trading pairs available have been a determinant of crypto exchanges. We are going to be looking at ten of the most popular crypto exchanges. Coinmama; Coinmama has been in existence as early as 2013. Their services make it easy and faster to perform crypto exchange from any part of the world. With an opt-in registration form, it allows you to pay with credit or debit card online within minutes. Coinmama allows you to buy bitcoin and ethereum, ripples and other cryptocurrencies. Coinmama is built with one of the most secured platforms. For an enhanced security check-level, documents are not just stored randomly but encrypted to ensure high-security level. They also give you an option to choose from any secured network. Coinmama growth has also been largely attributed from affiliate programmes that allow you to earn up to 15% commission from referral programmes. Gemini; Gemini is one of the top digital exchange platforms that allows for the dual registration system. Both as a personal account and as an institution. It is a US-based digital currency exchange platform which is duly registered by the York State Department of Financial Services (NYSDFS). With their extensive resourceful data on auction, they provide auction from different trading pairs every day. Gemini has an in-depth of Licensed Custodial Services in which their depository account meets all regulation to hold digital assets for trading. Gemini allows trading with Bitcoin, Ethereum, and Zcash with as low as 1% fee making it more trading-friendly. With their desire to offer a high-security level of financial services, documents and assets are stored in an offline vaulted storage system called Cold Storage allowing for only a little portion to be held in the wallet called Hot wallet. Kraken: Kraken was founded seven years ago. They were among the first to have traded bitcoin exchange. They also trade the Canadian dollar, US dollars, Pounds and Yens. Kraken offers a wide variety of benefits using their platform for trading. From fast funding benefits, low fees, 24 hours customer support, encrypted cold storage, and advanced order types. Kraken offers a high level of security for all transaction and exchange process. A huge amount of coins are stored in the cold wallet and semi-cold wallet with a high level of the secured drive system. They operate with a well-defined legal compliance designed by five-member legal advisors. Luno; They offer exchange of cryptocurrency like bitcoin and ethereum. They claim to have been trusted by over 2 million people across the world. Luno is supported by countries like South Africa, Indonesia, Nigeria and some countries in Europe. They have three products known as luno wallets, luno exchange and luno API. Their bitcoin funds are kept secure in what we they call “deep freeze” storage with multiple signature wallets. Their security network is also built with an encryption and security check. Coinbase; Coinbase was founded by Brian Armstrong and Fred Ehrsam. Coinbase is currently serving a total of 32 countries. They deal in Bitcoin, Bitcoin Cash, Ethereum, Litecoin, and exchange of digital assets. As at November last year they have hit a record of more than 13 million users since the day of their inception six years ago. They have two main products which are coinbase API for software developers and a Global Digital Asset Exchange for trading different assets. Cointree; They have been in existence as early as 2013 in Melbourne. With just five years of existence, they have been able to transact over a hundred million dollars of a successful transaction. For a quest for more customer base, they have been able to build and sustain over 56,000 members. Cointree has made it possible to trade and transact over 30 cryptocurrencies. From bitcoin, there, litecoin, dash, ripple, EOS, Cardano, among others. They offer services to buy and sell and exchange of digital currencies. Their internet banking purchase has a limit of $8,000 per day. Their security level is built on hot/cold wallet storage and a 2-step verification for any digital currency withdrawal. Users account information is kept safe from code base to ensure safety and security. CEX.IO; They have been in existence since 2013 as the first cloud mining provider. They accept credit card, cryptocurrency, debit card, bank transfer (SEPA) SWIFT as a means of funding. They accept digital currencies like bitcoin, dash, there, XRP, ZCash. They also support fiat currencies like USD, EUR, RUB, GBP. CEX.IO has gained more than 700,000 users from the day they were founded. CEX.IO has a well-structured web for visitors from their Bitcoin calculator, bitcoin price widget, mobile app, and affiliate programme. Bitit It is one of the youngest exchange cryptocurrencies. It was founded just three years ago by three friends. They accept funding through Cashlib, Credit card, debit card, and no surf. They accept over 11 cryptocurrencies with vast fiat currencies like USD, EUR, GBP, JPY, CNY, KRW. But it has products that are centered around cryptocurrencies, gift cards, and merchants. Xcoin; Xcoin allows membership registration with as little as $20.They support deposit with bank transfer, credit card, debit card, echeck, and Paypal. They allow just bitcoin cryptocurrency and only USD fiat currency. Their platform allows fast peer-to-peer lending ability. Xcoin allows easy receiving of invested amount plus all commissions to PayPal account. Bithumb; This is one of the most popularly used bitcoin trading platforms. It is a korean based platform that is also available in English, Chinese, Hindu, and Spanish. It allows for buying and selling of BTC, ETH, DASH, LTC, Zcash. Transaction commission is as low as 0.15%. They also accept free deposit currency assets.